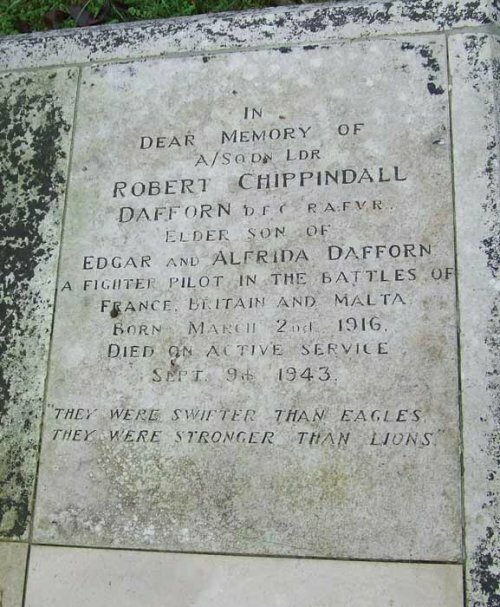 Robert Chippindall Dafforn, of Burchetts Green, Berkshire was born at Horton, Windsor on 2nd March 1916. He was at Harrow School from 1929 to 1934 and after leaving worked in the Exchange Equalisation Department of the Bank of England. In 1936 Dafforn applied to join the RAFVR but was turned down because at over 6 feet 6 inches tall the doctors considered him too thin. He underwent a course of physical training, applied again and was accepted, beginning his flying training at 8 E&RFTS, Woodley in October 1937. 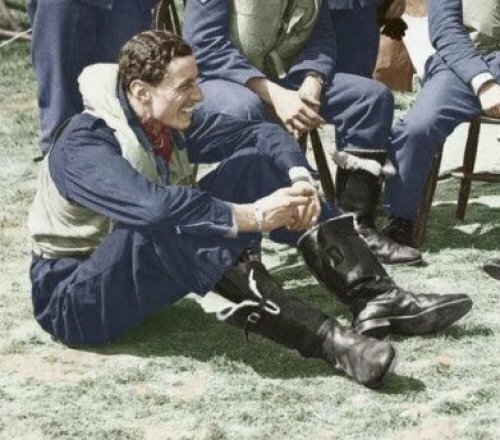 In late June 1939 Dafforn was selected for four months training with the regular RAF and was posted to the Air Fighting School at St Athan. In mid-September he joined 501 Squadron at Filton. Commissioned in April 1940, Dafforn went with the squadron to Bethienville in France on 10th May. He claimed a Do17 destroyed on the 11th, a He111 on the 14th, a probable Me110 on the 19th, a probable He111 on the 20th and on the 27th a He111 destroyed and another shared. On 24th August Dafforn claimed a Ju88 destroyed, on 11th September a shared Do17 and on 30th October a Me109 destroyed. He was wounded on 2nd December in an attack by Me109’s and made a forced landing at Detling, wrecking his Hurricane, V6919. Dafforn was awarded the DFC (gazetted 17th January 1941). He was appointed ‘B’ Flight Commander in late April 1941. On 26th October Dafforn was posted to 56 OTU, Sutton Bridge as an instructor. 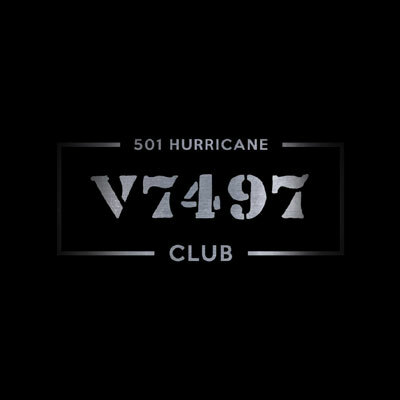 He was the last of the original 501 pilots. In early January 1942 he was posted to the Middle East. Dafforn went to Takoradi and on 1st March took off on the multi-stage ferry route to Cairo, in a Hurricane ll. On 1st April 1942 Dafforn was attached to the Air Fighting School and Conversion and Refresher School at El Ballah to accustom himself to desert conditions. But instead of being sent to the Western Desert Dafforn was posted to 229 Squadron at Hal Far, Malta. He flew from El Ballah on 19th April via Gambut. 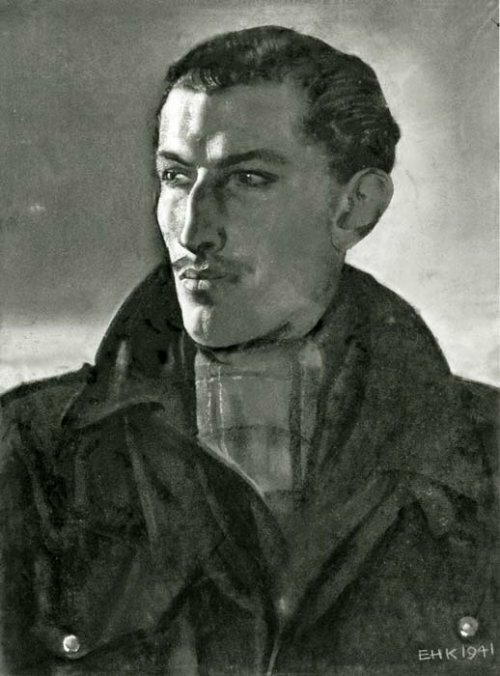 Two days after arriving Dafforn was promoted to Acting Squadron Leader and took command of a very badly-depleted squadron. On his second patrol, on the 26th, he was shot down and crash-landed at Hal Far, with cannon shell fragments in right leg, lower back and arm. Although his wounds were slight Dafforn was in hospital for fourteen weeks with undulant fever. He flew out in a Hudson to Gibraltar on 2nd August 1942 and then on to Hendon on the 9th. After two months’ convalescence at Torquay Dafforn was posted to 52 OTU, Aston Down as OC Night Flying Squadron. He went to CGS Sutton Bridge in December 1942 for a course. On 23rd June 1943 Dafforn was posted to CGS as CFI. On the morning of 9th September he was flying Spitfire P7289 in an air-firing exercise. He was returning to the airfield when the aircraft was seen to carry out a very steep turn at low level. The port wing tip touched the ground and Dafforn was killed in the resulting crash. He is buried in St.Mary’s churchyard, White Waltham, Berkshire.